That’s what make coupled natural and human systems so interesting: The feedback loops are long and can take years to appear. And when they do, they may appear at different scales. 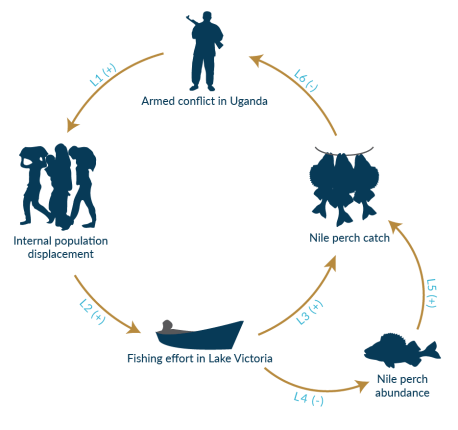 In this case, a mostly domestic armed conflict increased competition over Nile perch among fisherfolk, which created tensions between Kenya and Uganda at the interstate level. 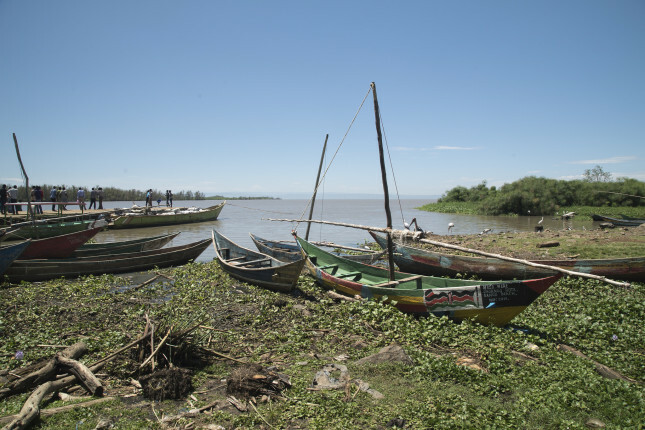 Photo Credit: Fishing boats are pulled ashore along Dunga Beach, a fishing village on Lake Victoria in Kisumu, Kenya. March 2015. 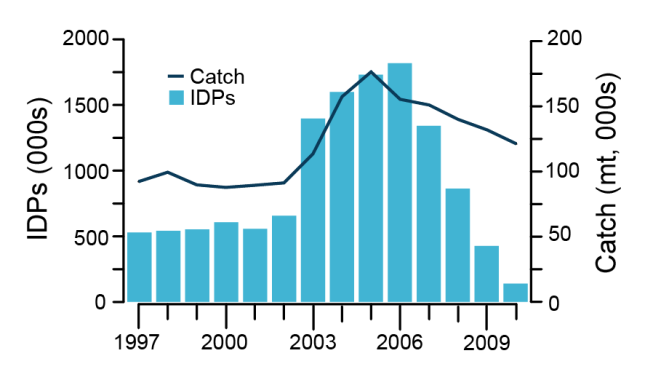 Photo by Peter Kapuscinski, courtesy of World Bank. This will not post to FB because people reported abusive content.